This class of chemical refers to the external effects (such as heat, pressure, impact, etc. ), can occur violent chemical reaction, instantaneous large amounts of gas and heat, so that the rapid increase in ambient pressure, explosion, damage to the surrounding environment Items, including items that do not present a general explosion hazard, but which have a risk of burning, projectile and minor explosions. This class of chemical means compressed, liquefied or pressurized dissolved gases, and shall meet one of the following two conditions: the critical temperature below 50 ℃. Or a compressed or liquefied gas whose vapor pressure is greater than 294 kPa at 50 ° C; a gas whose absolute pressure is greater than 275 kPa at 21.1 ° C or a compressed gas having an absolute pressure of 715 kPa at 54.4 ° C; , The Reid vapor pressure is greater than 275kPa liquefied gas or pressurized dissolved gas. Such as liquefied petroleum gas (ethane, butane), liquefied natural gas (methane), hydrogen (liquefied), hydrogen sulfide, butadiene and so on. Flammable solids are solids that are low in ignition temperature, are sensitive to heat, impact, friction, are susceptible to ignition by external sources of ignition, burn rapidly and may emit noxious fumes or toxic gases, but do not include explosives. The main common are sulfur, red phosphorus, AC blowing agent, N blowing agent, OB foaming agent, Shaitu salt, photographic agent, magnesium, aluminum powder, silicon powder, borneol, camphor, nitrocellulose plastic (celluloid) cotton . 4.2 Natural articles Spontaneous combustion articles are those that have a low spontaneous ignition point and are susceptible to oxidation reactions in the air, releasing heat and burning on their own. Common are yellow phosphorus, oil paper, oil cotton yarn, celluloid debris, activated carbon, insurance powder. 4.3 Humid flammable substances in case of wet combustible materials refers to the case of water or damp, the occurrence of severe chemical reactions, the release of a large number of flammable gases and heat items, and some do not need fire, that can burn or explode. Common are the main metal potassium, sodium, calcium carbide, aluminum, zinc powder, insurance powder. 2 Oxidizing agents are substances which are in a highly oxidized state and are highly oxidizing, readily decomposable and emit oxygen and heat, including peroxygen-containing inorganic substances which are not necessarily flammable by themselves but which can cause the burning of combustibles, Combustible materials can form an explosive mixture, sensitive to heat, vibration or friction such as bleach (calcium hypochlorite), ammonium persulfate (potassium, sodium), hydrogen peroxide, potassium permanganate, nitrate, perchlorate , Hypochlorite, chlorate, concentrated sulfuric acid, nitric acid and the like. 5.2 Organic Peroxides Organic peroxides are organic peroxides containing molecular species, which are flammable and explosive. Extremely easy to decompose, extremely sensitive to heat, vibration or friction. Oxygen-based organic matter are generally basic, common are mainly methyl ethyl ketone peroxide (commonly known as white material), the formic acid, peracetic acid and so on. This type of chemical refers to the body into the body, the cumulative amount of a certain amount of body fluids and organ and tissue biochemical or biophysical role, to disrupt or damage the body's normal physiological function, causing some organs and systems temporary or lasting Of the pathological changes, and even life-threatening items. Oral LD50: solid LD50 ≤ 500mg / kg, liquid LD50 ≤ 2000mg / kg; LC50 ≤ 10mg / L of solid or liquid. LD50 ≤ 50mg / kg, liquid LD50 ≤ 200mg / kg; the skin contact 24h, the median lethal dose LD50≤1000mg / kg; dust, dust and so on, Smoke and steam inhalation of LC50 ≤ 500ppm LD50 solid or liquid. (1) inorganic toxic drugs such common are mainly used in plating cyanide (potassium cyanide, sodium cyanide, etc. ), arsenic trioxide (arsenic), mercuric chloride and other 73 items. (2) organic toxic drugs The main common pesticides in some, toluene diisocyanate (TDI), methyl sulfate, acrylonitrile and other 262 items. 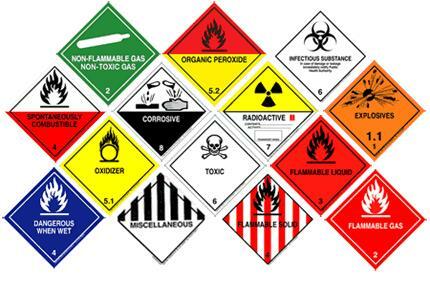 6.2 Toxic substances (1) Inorganic poisonous substances, included in GB12268-90 about 700 items. Such as mercury, lead, barium, fluorine compounds. (2) organic toxic substances, such as oxalic acid, mainly included in GB12268-90 about 1150 items. This class of chemicals refers to the radioactive specific activity greater than 7.4 × 104 Bq / kg items. This class of chemicals refers to the solid or liquid that can burn human tissues and cause damage to metals and other objects. Contact with the skin in 4h visible necrosis phenomenon, or the temperature at 55 ℃, on the 20th surface of the steel uniform corrosion rate of more than 6.25mm / y solid or liquid. 8.1 acidic corrosion products such common are nitric acid, sulfuric acid, hydrochloric acid, battery [acidic], hydrofluoric acid, acetic acid, etc. 8.2 Alkaline corrosion products Such common are mainly sodium hydroxide, potassium hydroxide, battery [alkaline], ammonia, sodium sulfide and so on. 8.3 Other corrosive products such common are nitric acid, sulfuric acid, hydrochloric acid, sodium hydroxide, potassium hydroxide, battery fluid [acidic, alkaline] and so on.